Nearly 91,000 registered nurses currently practice in Tennessee, including approximately 8,200 working in advanced nursing roles. Although that figure may seem high, it is projected to reach even greater heights between 2012 and 2022. Tennessee’s health care industry is under pressure to provide adequate nursing care due to increasing population demands and an aging population and nurse workforce. Learn more about the occupational outlook for nurses in Tennessee and what it takes to earn a license to practice in the state. Nursing is a driving force within Tennessee’s health care industry. Individuals interested in a nursing career can choose from multiple education programs and nursing specialties, leading to both entry-level and advanced roles. Compare and filter nursing schools and programs in Tennessee by using the search tool below. The Tennessee Board of Nursing is an office working under the state’s Department of Health and issues licenses to registered and advanced practice nurses. All nurses who want to practice legally in the state must hold a valid and active license. Take a look at the process for licensure by examination in Tennessee. To be eligible for a license, candidates must meet the following requirements. Candidates should also note that the Tennessee Board of Nursing accepts scores from both the State Board Test Pool Examination and the National Council Licensure Examination (NCLEX-RN). Tennessee registered nurses must renew their licenses every two years. The Board of Nursing sends out renewal notices at least 45 days before the nursing license expires, but it is the responsibility of nurses to ensure their license is renewed on time, even if notification is not received. Nurses are able to renew their license up to 60 days before they expire. The fee for renewal is $100. Visit the Tennessee Board of Nursing for more information regarding advance practice registered nurses. Nursing dominates the healthcare industry in Tennessee and is expected to account for 33 percent of the state’s healthcare job openings between 2010 and 2020. These figures, compiled in a report from Georgetown University’s Center on Education and the Workforce, also project that Tennessee will have the fifth highest national concentration of nurses by 2020. According to the American Association of Colleges of Nursing, demand for skilled nursing professionals is only expected to increase as the state works to serve numerous regions that are underserved and understaffed. Learn more about these occupational projections and the overall outlook for the nursing industry in Tennessee below. 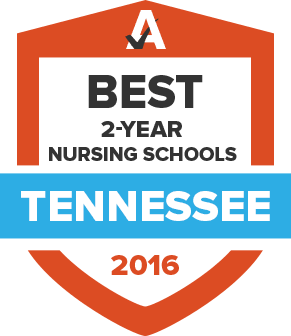 Nursing in Tennessee is comprised of the Deans and Directors from nursing schools and programs in the state. They provide guidance to current and prospective students, highlight information about different nursing specializations, and offer advice on choosing the right type of training. TASN is a membership-based organization that supports nursing students preparing for initial licensure as a registered nurse. From NCLEX preparation to legislative action, the association offers a variety of resources to students entering the profession. The Tennessee Board of Nursing is a regulatory government body responsible for overseeing the practice of nursing in the state. The Board of Nursing sets licensing standards, manages the licensing and renewal process, and deals with complaints against practicing nurses. This association is a constituent member of the American Nurses Association and serves as the primary professional organization for registered nurses in Tennessee. The TNA offers support through public policy lobbying, scholarships, career resources, networking events, and conferences. TAC is an advocacy group comprised of the AARP and University of Tennessee College of Nursing. Founded in 2010, the coalition advocates for improvements in health care and is primarily focused on the practice of nursing. It has relationships with multiple colleges of nursing and supports students through scholarship programs.